Synchronicity can be a wonderful thing. Yesterday I mentioned the meeting of the Royal Astronomical Society that took place on January 10th 1930. The importance of this event was that it prompted Lemaître to write to Eddington pointing out that he had already (in 1927) worked out a solution of Einstein’s equations describing an expanding space-time; eventually this led to the widespread acceptance of the idea that Hubble‘s observational measurements of redshifts and distances of extragalactic nebulae were evidence that the Universe was expanding. Meanwhile, triggered by a recent article in Physics World, I have been having an entertaining electronic exchange with Bob Kirshner concerning a much more recent development about the expanding universe, namely that its expansion is accelerating. Since he’s one of the top experts on this, I thought “What better time to have my first ever guest post?” and asked Bob if he would like to write something about that. He accepted the invitation, and here is his piece. For me, the pivot of the year comes right after the solstice, while the Christmas wrapping paper is still in the trash can. Our house in Maine has a window facing south of east. When the winter sun rises as far south as it ever does, a clear morning lets a blast of light come in one side, straight down the hallway and out the bathroom window. Househenge! What does it mean? It means it is time for the American Astronomical Society’s big meeting. This rotates its location from Washington DC, this year’s site, to other more-or-less tolerable climates. Our tribe can mark the passage of the seasons and of the decades by this rhythm. Never mind all that highfalutin’ stuff about the earth going around the Sun. Remember that AAS in Austin? What year was that? In January of 1998, the cycle of the seasons and of available convention centers of suitable size put the AAS in Washington. It was an exciting time for me, because we were hot on the trail of the accelerating universe. We had some great new data from the Hubble Space Telescope (HST), a paper in the press, and Peter Garnavich, my postdoc, was going to give a talk and be part of a press briefing. This was a big deal and we prepared carefully. Adam Riess, who had been my graduate student, was then a Miller Fellow at Berkeley doing the calibration and analysis on our data. Adam’s notebooks were beginning to show troubling hints of cosmic acceleration. I thought it would go away. Brian Schmidt, who had also been my student, was then in Australia, calling the shots on this project. He didn’t want to get out on a limb over unpublished hints. The idea of a cosmological constant was already making him sick to his stomach. We agreed that in January of 1998, Peter got to say that the supernova data showed the universe was not decelerating very much and would expand forever. That’s it. Nothing about acceleration. While a few reporters sniffed out the hints of cosmic acceleration in the raw data, in January 1998 nobody was claiming this was a solid result. The paper from our team with the title Observational Evidence from Supernovae for an Accelerating Universe and a Cosmological Constant didn’t get submitted until March 13, 1998. The comparable paper from the SCP was submitted September 8, 1998. These are fine dates in the history of cosmology, but they are not in January. It’s not for me to say when savants like the Telescoper were convinced we live in an accelerating universe, but I am pretty sure it wasn’t in January 1998. 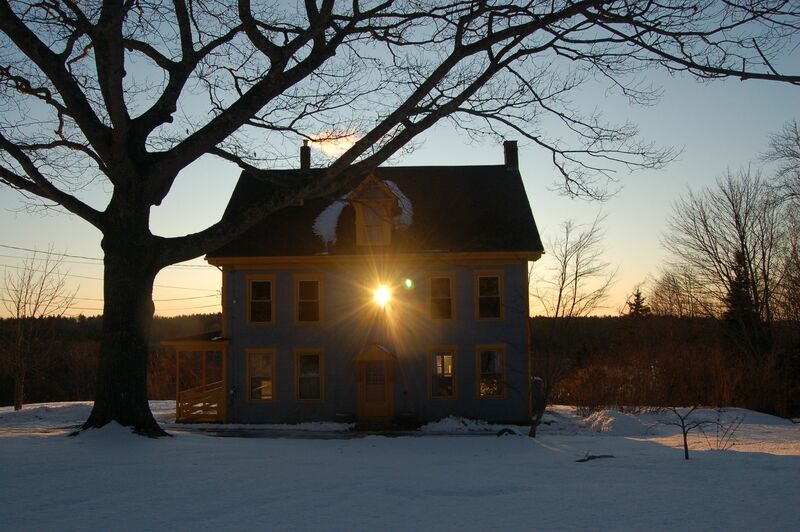 In January 2009, the sun was once again shining right through our house. It illuminated the American Physical Society newsletter kept in the upstairs bathroom. One of the features is This Month in Physics History. If you want to find out about Bubble Chamber progress in January 1955, this is the place. Flipping through the January 2009 issue I was gobsmacked (American slang for “blown away”) to learn we were supposed to celebrate the anniversary of the discovery of cosmic acceleration. Say what? In January? Because of the press releases that said the universe was not going to turn around? Being a dutiful type, a Fellow of the APS, and the oldest of the High-Z Team, I thought it was my job to help improve the accuracy of this journal. I wrote them a cheerful (on the third draft) letter explaining that this wasn’t precisely right, and, if they liked real publications as evidence for scientific progress, they might want to wait until March. A volley of letters ensued, but not at internet speed. 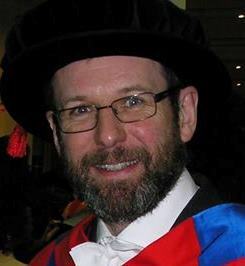 The editor of APS News decided he had had enough education and closed the discussion in July. The letters column moved on to less controversial matters concerning science and religion and nuclear reactors. The rising point of the sun came north, and then marched south again. Just after the solstice, a beam of light flashed right though our happy home. 2010! Google alerts flashed the news. More brouhahah about the discovery of cosmic acceleration. Now in Physics World. 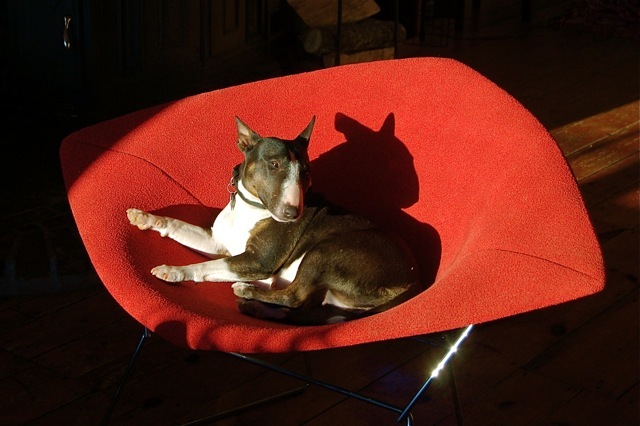 I am depicted as a surly bull terrier in a crimson tenured chair, clinging desperately to self-aggrandizing notions that actual publications in real journals are a way to see the order of events. The philosopher, Robert P. Crease, who wrote this meditation, says he loves priority disputes. He is making a serious point, that “Eureka!” is not exactly at one moment when you have an international collaboration, improving data sets, and the powerful tools of Bayesian inference at your command. But, even in the world of preprint servers, press releases, and blogs without restraint (I am talking about other blogs! ), a higher standard of evidence is demanded for a real paper in a real journal. A page in a notebook, an email, a group meeting, a comment after a colloquium or even an abstract in the AAS Bulletin (whipped up an hour before the deadline and months before the actual talk) is not quite what we mean by “having a result”. I’m not saying that referees are always helpful, but they make the author anticipate a skeptical reader, so you really want to present a well-crafted case. If that’s not so, I would like to have my lifetime’s page charges refunded forthwith: that’s 250 papers x 10 pages/paper/ x $100/ApJ page = $250 000. Send the check to my office. So, Telescoper, how is your house aligned? And why do the Brits put the drains on the outside when you live in such a cold climate? 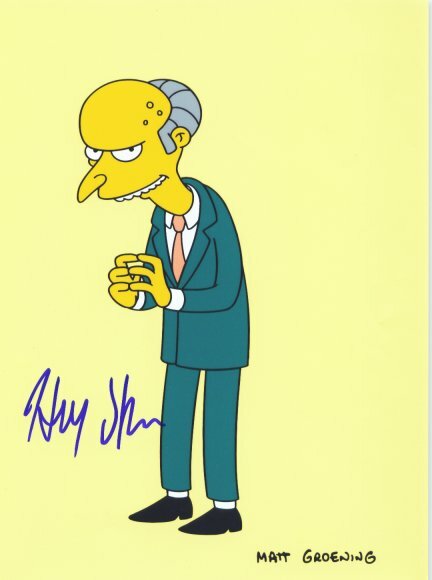 It’s probably impolite to draw visual parallels between Professor Donald Lynden-Bell, winner of the inaugural Kavli Prize for Astrophysics in 2008, and Montgomery Burns from the Simpsons.